It’s 2017, and with the new year comes the guilt-laden media: articles on how to keep resolutions, get fit, and fix x, y, or z about yourself. I say forget all that, and instead, focus on doing things that fulfill you. For me, two of the most fulfilling activities are reading and writing (no surprises there, I’m sure). Reading should be fun and something you do for yourself. If reading is something you hope focus on in the new year, here are some books that might pique your readerly appetite. There’s no pressure here, no results requested, and no one is holding you accountable. All we ask is that you read for fulfillment, for fun and joy, for creative nourishment. Behold, the January 2017 staff round-up! 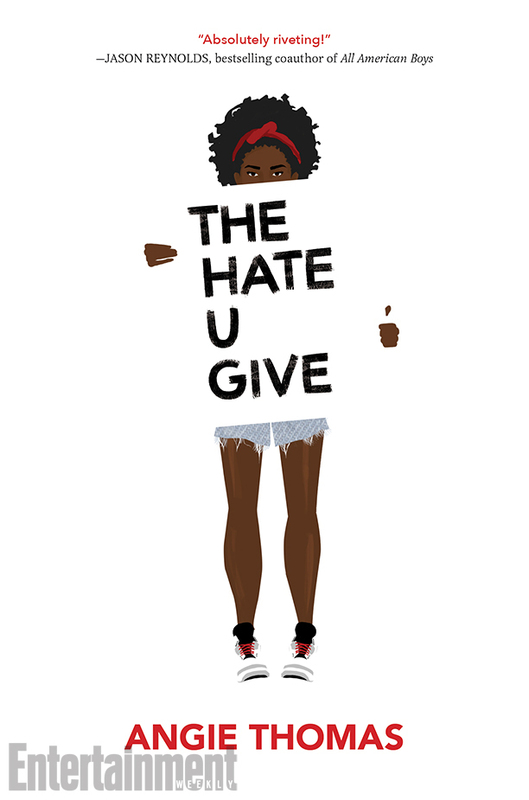 There are dozens of YA books I’m hype about in 2017, but The Hate U Give by Angie Thomas is possibly the most urgent and necessary of them all. The book centers around sixteen-year-old Starr Carter, who has to balance who she is at home in a poor neighborhood with who she is at her wealthy suburban prep school. When Starr witnesses the fatal police shooting of her childhood best friend, Khalil, the world she knows is thrown into chaos. As protests and movements build around Khalil’s death, everyone turns to Starr to find out just what happened last night. Based on the Black Lives Matter movement, this book asks all of the right (and all-too-real) questions. You can find it in stores on February 28, but TBH you should probably just pre-order it now. 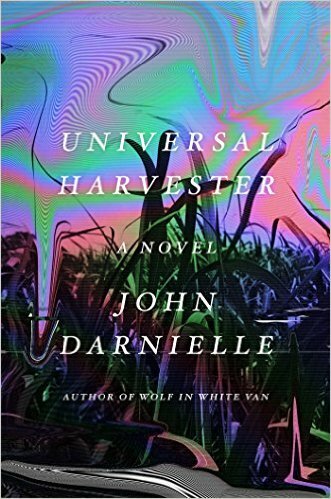 Darnielle’s Universal Harvester starts with the last days of a Video Hut in Nevada, Iowa. While partially billed as a horror novel (and while it’s certainly unsettling at times), the most touching aspect of the book is the way the characters navigate the social mores of the rural Midwest. Their navigation of the typical tracks their conversations take—the conversational fences that make good neighbors—leads to almost as much tension as the purposefully horrific subplot. Aspects of video tape culture, obviously on its way out in the early aughts, carry the structure of the novel. The horror plot centers around strange footage edited into rental movies. Meanwhile, parts of the book seem spliced or recorded over, and there are times when I wish I could adjust the tracking to get a clearer picture. Information is coyly doled out like in Midwestern small talk; the narrative makes skittering jumps as though a piece of film were left on the cutting room floor; and confusing imagery is left to writhe on the page, forcing the reader to create an image out of static. You might know Catherynne Valente from any of the Fairyland books (which feature prose lush enough to make mouths water and hack writers sweat) or her short fiction (which has appeared in appropriately wonderful magazines like Uncanny or Beneath Ceaseless Skies). Maybe you’ve read her essays or follow her on Twitter, or possibly you’ve made bad life choices up until this moment and haven’t engaged with any of Valente’s work up until this point. 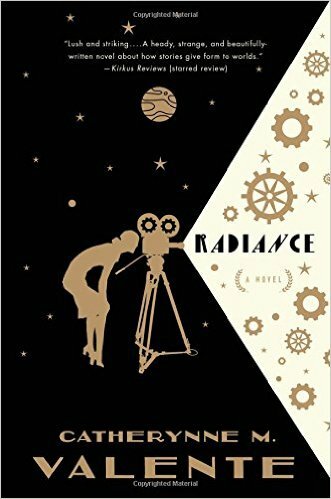 I’ve read only one of Valente’s books and a few of her short stories, and they’ve all made me incredibly excited for her newest book, Radiance, which is an alt-history SF space opera written in a formally experimental prose style. It follows a filmmaker rebelling against her father (another filmmaker) by shooting daring documentaries across the solar system, which is populated by alien races pulled straight from classic science fiction. It sounds like a treatment of the genre and of various prose forms, but if I know anything about Valente’s writing, there will also be a beautiful, moving, powerful story nestled in amongst the experimentation. This is a fascinating collection that captured my imagination immediately with its multi-pronged approach. Caits Meissner fuses poetry, prose, prompts, and comic panels to address an endless curiosity and appetite for getting messy (in the best way). The book reminded me of a personal mantra of mine: clarity over certainty. If you’re looking for certainty, you’re bound to find the unexpected and get anxious about the results not matching up (kind of like those resolutions I was talking about earlier). But if you’re pursuing clarity instead, you can acknowledge all of the curious pieces of a thing, and let it sit in it’s beautiful, steaming, sloppy self, and find freedom in that. 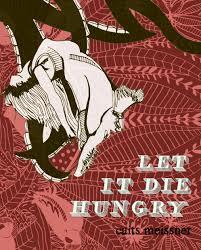 In fact, there are writing prompts in Let It Die Hungry that ask a series of questions that get to that very point of clarity of self, such as “A time you fit in or stood out that felt purposeful and deeply chosen. What agency did you have? What made you feel powerful, loudly or quietly, about the choice?” The poetry within takes on a conversational tone, yet with a strong and urgent sense of voice. All of it is infused with sensual, bodily language. This is a collection I could (and plan to) read multiple times to really catch all the beautiful and messy clarity oozing from each page.